We provide custom landscaping, including Florida palm trees, tropical plants, ponds, waterfalls, rock gardens, fountains, fruit or ornamental trees, flowering shrubs or hedges. 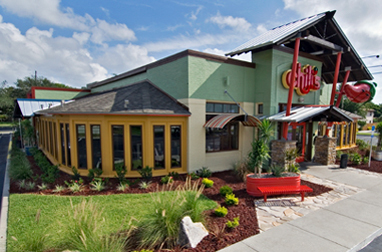 Your landscaping will reflect the professionalism of your business. Our landscapers offer a superior, seamless and beautiful landscape product for your customers to enjoy. 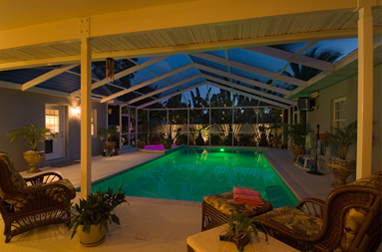 We are teamed up with Outdoor Lightning Perspectives and will refer you to them for your outdoor lighting needs. Landscape by Palmer in Tampa Bay is your window to exemplary landscape design, tree, and garden detailing and expert exterior landscape treatments and systems. A professional landscaping service based in St. Petersburg, Florida, we proudly serve homes and commercial businesses in West-Central and Southwest Florida, including Tampa, Clearwater, Palm Harbor, Tarpon Springs, St. Petersburg, Bradenton, Sarasota, and more. Allow Landscape by Palmer to enhance your home or business with verdant, clean, touchable lawns and rich Florida gardens. After all, we aren’t just a landscaping service – we’re landscape designers! We make gardens look stunning, layering plant and flower textures, colors and scents together for a rich organic tapestry that will delight you and bring warmth to your home or commercial business. Simply an inspiring landscape design you’ll love to come home to or greeting you at the office! Layering Exquisite Textures, Colors and Scents Together to Inspire You! 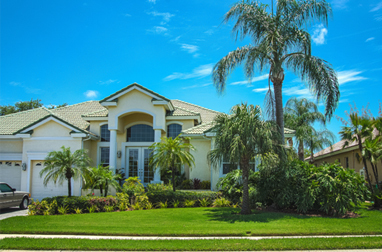 Landscape by Palmer of Tampa Bay can transform your property quickly and beautifully. Our team of landscaping professionals has over 20 years’ experience in horticulture, landscape design, hardscaping, rock garden design, tropical and floral gardening. We excel in combining custom flower beds, greenery and ornamental grasses with architectural and water garden design elements to reflect your individuality. Our dendrologists open up your imagination with their broad knowledge of tree and shrub choices including: oriental varieties, evergreens, perennials, exotic and local palms trees, fruit trees, flowering trees, and shrubs. I am involved with a building program opening a new restaurant every 3rd day; having vendors such as Joe to rely on makes his firm a valuable team member to us; one we can rely on.